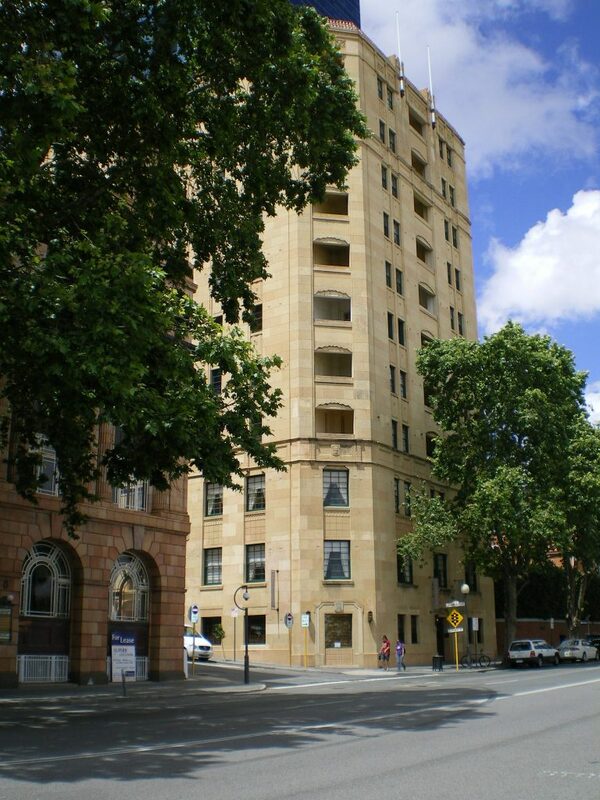 Lawson Flats is an eleven-storey building constructed in 1937 and was said to be Perth’s first block of flats built on “similarly extensive lines to those which are prominent features of the Eastern States capitals”. 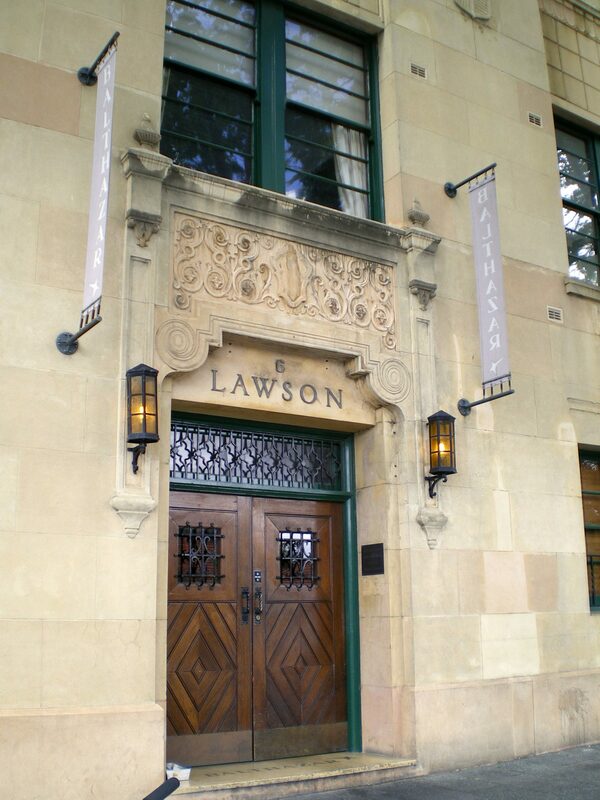 The construction of Lawson Flats was a signal that the building industry in Perth had recovered from the economic depression in the first half of the 1930s. The building comprised a restaurant, shared laundry and caretaker’s flat on the ground floor. The Perth Club occupied the entire first and second floors, as well as a small section of the ground floor. 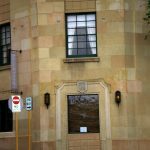 A rival to the Weld Club, the Perth Club was formed in 1840 to be a private men’s club catering for professionals and men in commerce. 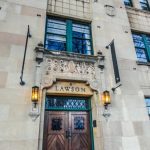 The third to tenth floors of Lawson Flats were designed as residential flats, each serviced by modern conveniences, including telephones, gas stoves, electric power points and a refrigerator. Each floor of flats had a colour scheme. One floor was blue, another green and another cream. 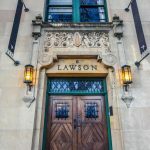 Since 1937, Lawson Flats has been used continuously for residential purposes, and incorporates a fine dining restaurant on the ground floor. 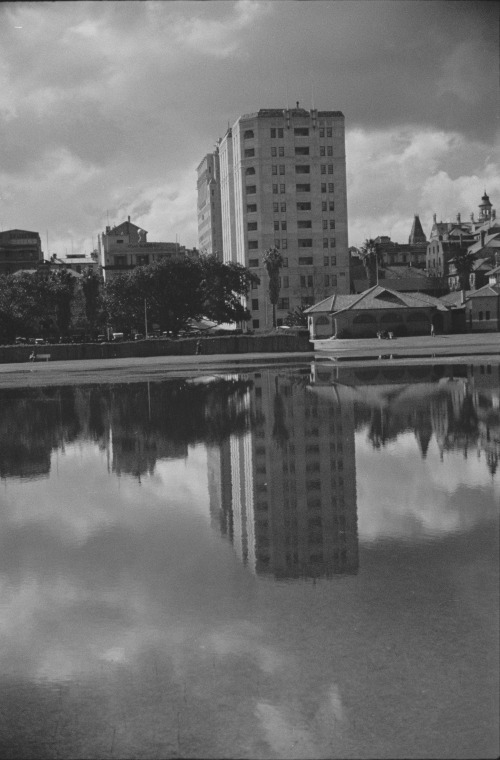 Lawson Flats is an eleven-storey building, constructed in 1937 by the Colonial Mutual Life Assurance Society, located on the Esplanade. 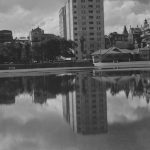 It was built as a companion piece to the nearby Colonial Mutual Life (CML) Building (demolished 1980), located on St Georges Terrace. 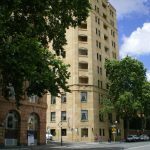 It was stated in the Daily News that Lawson Flats was, to be Perth’s first block of flats built on “similarly extensive lines to those which are prominent features of the Eastern States capitals”. 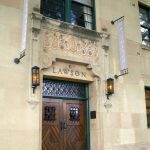 The construction of Lawson Flats was a key part of an intensive building program which signalled that the building industry in Perth had recovered from the economic depression in the first half of the 1930s. Plans for Lawson Flats were prepared by Melbourne architects Hennessy, Hennessy and Company, in association with Perth architect Reginald Summerhayes. The site sloped sharply towards the Esplanade and extensive excavation work which started in November 1936, was complete in six weeks. During the construction of Lawson Flats, the architects made a feature of utilising local labour and Australian-made products, most which was Western Australian. 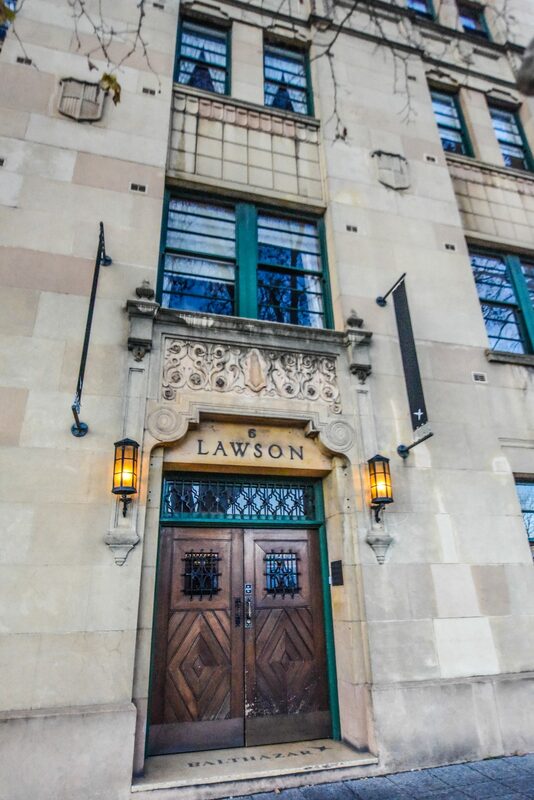 The construction of Lawson Flats employed an average of 100 men and the building was completed in eleven months. The building comprised a restaurant, common laundry and caretaker’s flat on the ground floor. The Perth Club, which had previously occupied premises at the rear of the CML Building, occupied the entire first and second floors, as well as a small section of the ground floor. 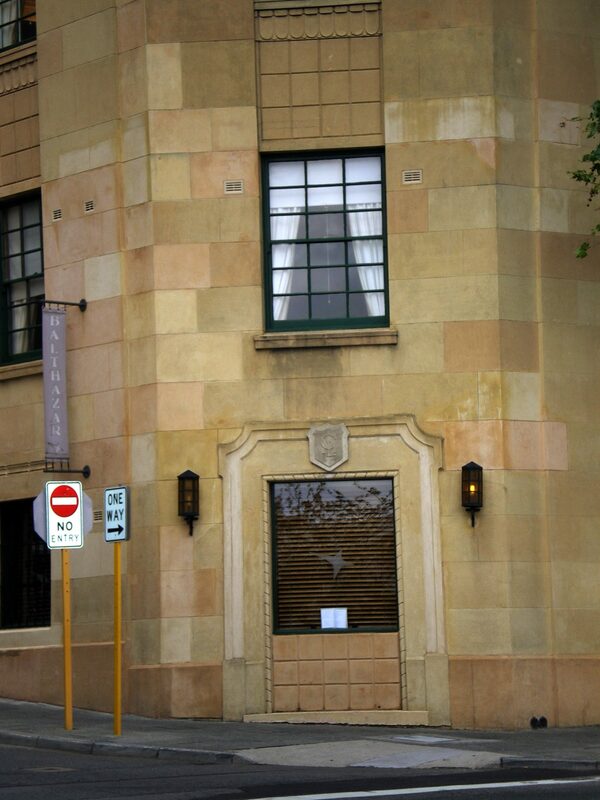 The Perth Club had been formed in 1840 and was a private men’s club which catered for professionals and men in commerce. It was a rival to the nearby Weld Club, which was patronised by members of the colonial gentry and Government officials. Each floor of flats provides a series of four residential apartments. Each apartment or flat has modern equipment and is wired for a telephone. It has modern aids – gas stoves and electric power points – a refrigerator and a Kernerator. Each floor of flats has its particular colour scheme. On one floor the prevailing colour scheme is blue. Another is green and another has cream as the main colour. Walls of the flats are papered. The colours of the paper harmonise with the prevailing colour scheme, on that particular floor. In general, restrained effects have been secured. 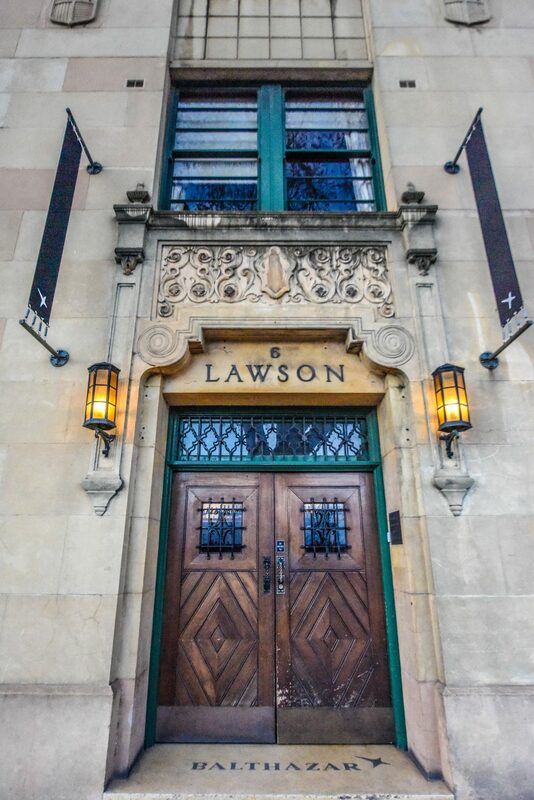 Lawson Flats continues to be used as a residential apartment building, incorporating a fine-dining restaurant on the ground floor.